Are you ready for some fun and stylish personal check designs? 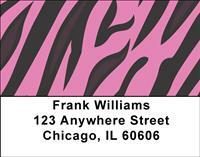 If so, you can't go wrong with pink animal prints! They're sure to get you noticed and will make check writing more fun than it has ever been. Zebra prints, cheetah prints, giraffe prints-they're all fun and exciting and now you can enjoy them in your favorite color!